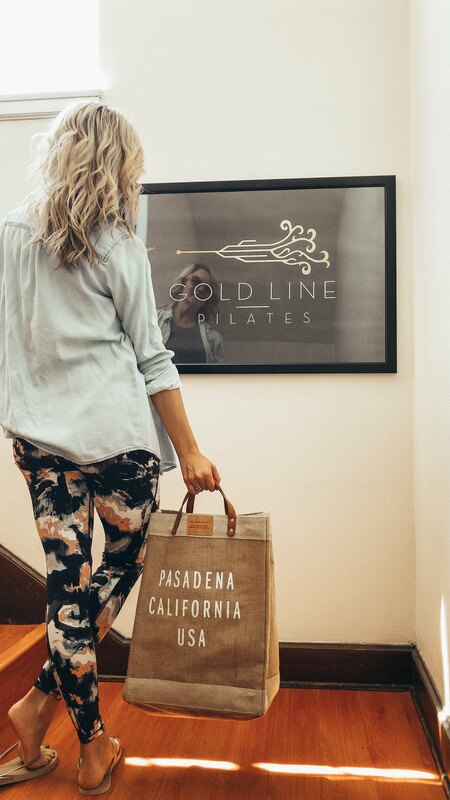 Gold Line Pilates is located at 501 South Arroyo Parkway (between Bellevue and California) in beautiful southwestern Pasadena. The studio is on the second floor of a funky mid-century building designated by the Pasadena Historical Society. Its quirky charm includes an old bank vault left over by a previous tenant and a retro built-in receptionist desk. 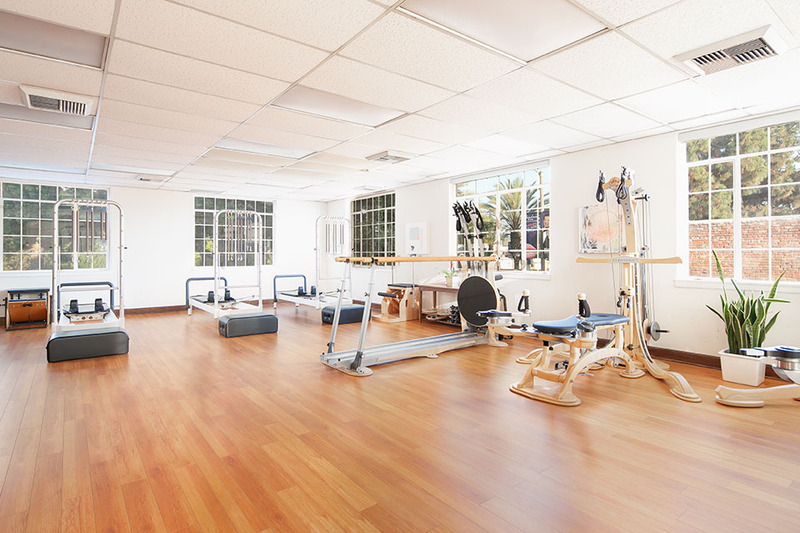 The Pilates space itself is spacious and bright with huge windows and immaculate floors. Our clients simultaneously enjoy the convenience of our excellent and central location as well as the privacy and exclusivity of the studio itself. It’s almost as if the Gold Line Pilates community is hiding in plain sight on bustling Arroyo Parkway and tucked away in our own sanctuary. It really is the best of both worlds. 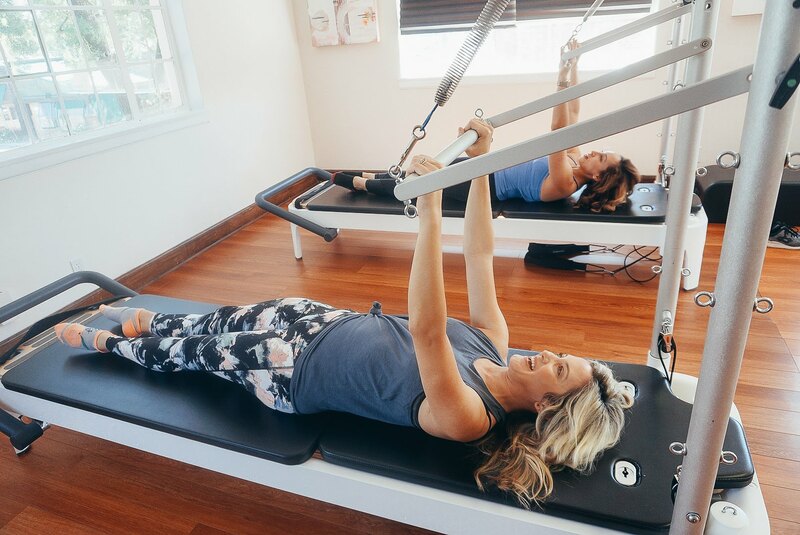 The studio features brand-new gold-standard equipment including three Balanced Body Allegro 2 reformers complete with tower attachments and the full range of accessories. Because our focus is private and semi-private training, we prefer to keep the studio small, spacious, and intimate. The studio also enjoys three stability chairs, a trapeze table (referred to as a Cadillac by some schools), and a ladder barrel. 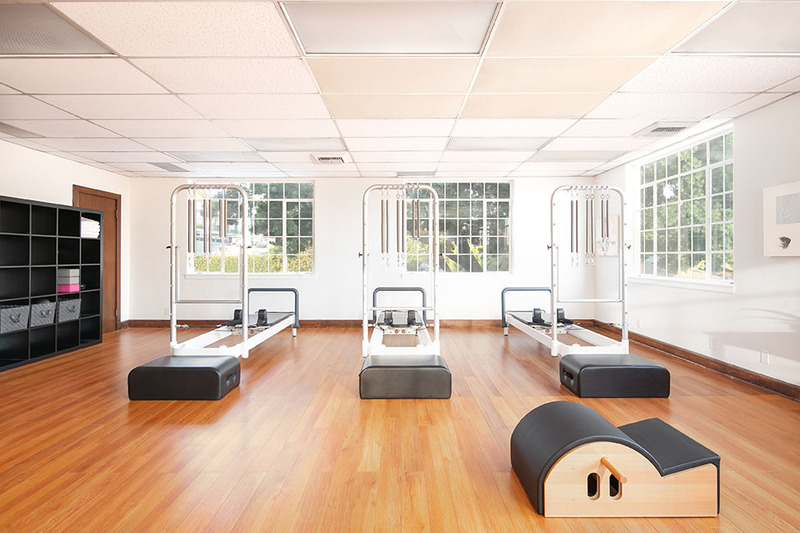 Additionally, Gold Line Pilates features the GYROTONIC® method as well delivered by Marivi Badin. 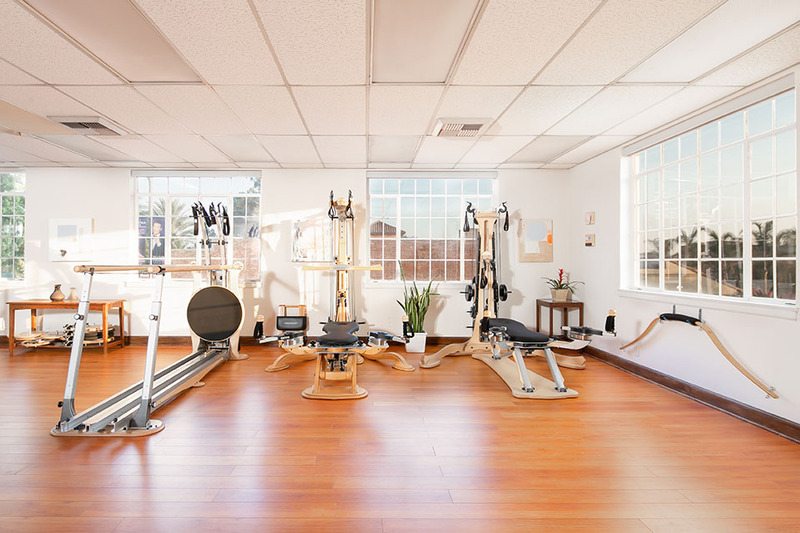 The studio is proud to offer access to two pulley towers, jumping stretch board, and a leg extension unit. To add to your convenience, the studio offers free and dedicated surface parking. The parking lot is accessed from southbound Arroyo immediately north of the red brick building and directly across the street from Parkway Grill. The front door is on the street. One-hour street parking is available on Arroyo on weekends and weekdays from 9:00 am to 3:00 pm only; however, using our spacious lot is highly recommended. Two spacious bathrooms and ample storage space are available.